My oil change was less than quoted and they did so much more for free plus a car wash. They are very nice and accommodating. Sutliff Volkswagen has a large selection of Certified Pre-Owned vehicles. 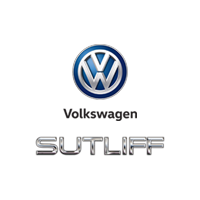 At Sutliff Volkswagen we work hard to ensure your buying experience is efficient, easy, and fun. We are also dedicated to the local community in which we work by supporting a variety of organizations including the United Way, Boys and Girls Club, and Safe Kids.